This is my second recipe in this new series of Diwali Desserts. Yesterday I posted the recipe of Jaggery Kulfi. Hope you guys liked it. 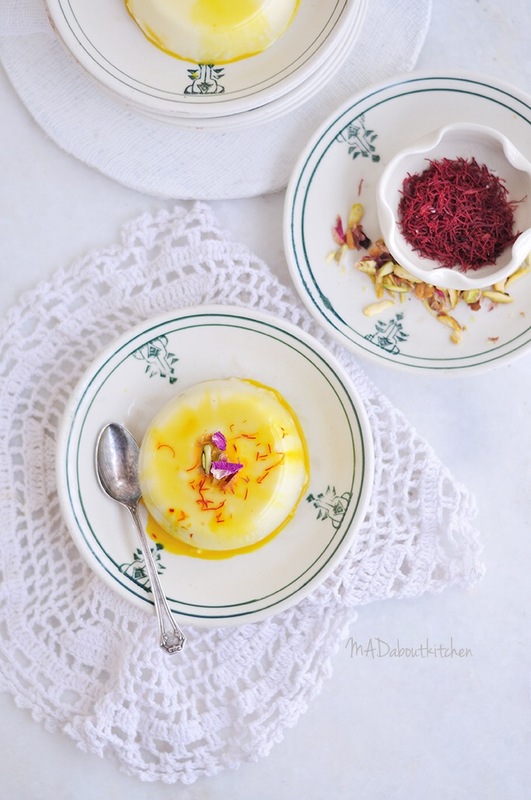 Saffron and Rose are some of the few ingredients that are most important and most used in Indian desserts. Adding these two ingredients not only adds loads of flavour to the desserts but also adds beauty to it. Don’t you agree. 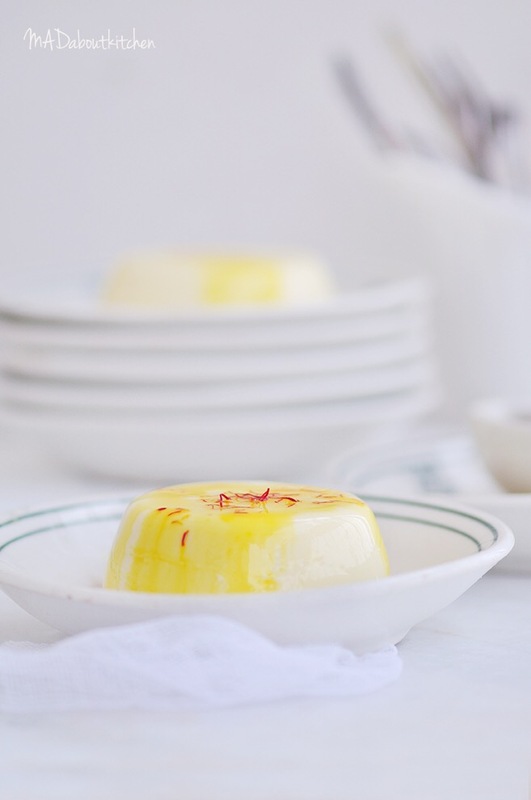 Saffron Panacotta has been on my mind for sometime. And what better time to make it than Diwali, right? 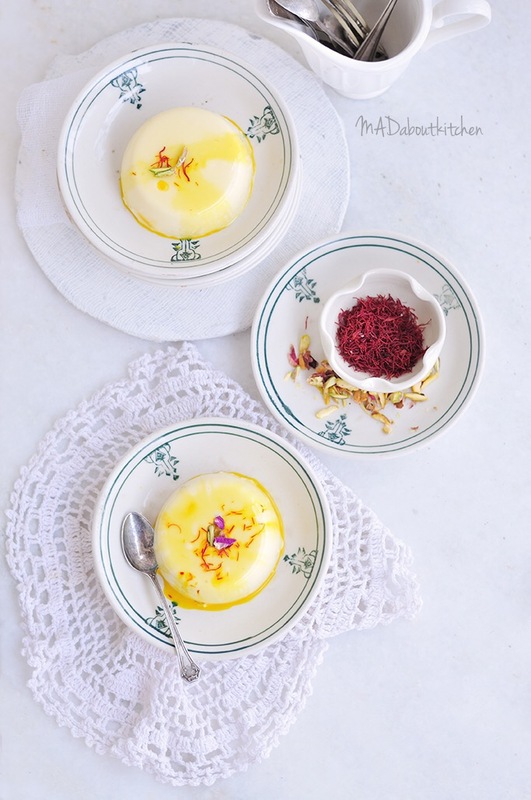 Saffron Rose Panacotta, is smooth and silky in texture and the mild flavour combination of saffron and rose is just perfect. I will be for sure serving this to my guests this diwali. Take 1 tbsp cold water in a small bowl and sprinkle 1/2 tbsp gelatin over it and set it aside for 5 minutes to bloom. Heat the milk and the saffron to it and let it sit for an hour or two. Rub the saffron strands between your fingers to realease as much colour as possible. Now add cream to the saffron milk and heat milk and cream together. Just heat the milk. Do not boil it. Add sugar and rose extract to this and stir till the sugar dissolves. To this add the bloomed gelatin. Keep stirring and let the gelatin dissolve. Rub the cream mixture between two fingers to make sure gelatin is dissolved. Seive this mixture into a jug to remove any leftover particles of gelatin or cream. Pour this mixture equally into the ramekins or individual glasses. Let it sit on the counter top for 15 minutes and then refrigerate it overnight. Heat the milk and add saffron to it and let it sit till it has realeased all the colour. To unmould the panacotta, run a sharp knife on the edges of the ramekin to loosen the panacotta. 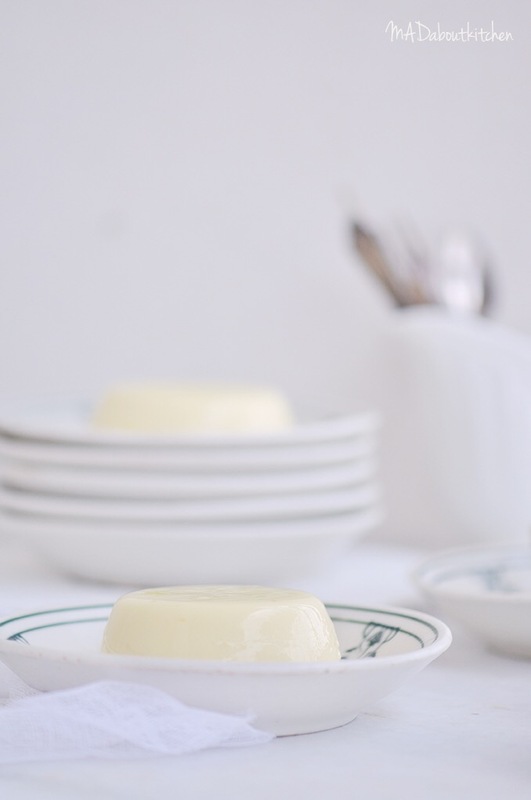 Push the panacotta edges inwards with the finger and then turn the ramekin over the serving plate and tap it. You will now have a perfect wobbly panacotta with a perfect domb. Unmould the Panacotta just before serving. 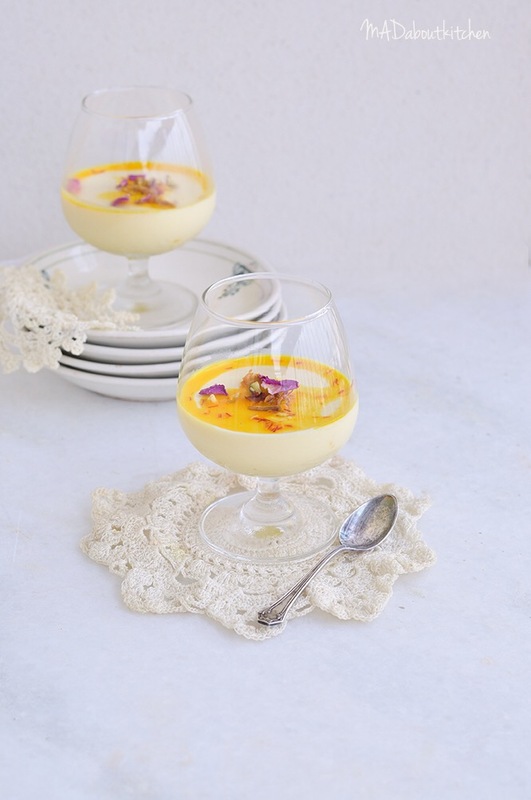 Pour over a spoon of saffron milk and top it with dry rose petals and pistachios before serving. Take 1 tbsp cold water in a small bowl and sprinkle ½ tbsp gelatin over it and set it aside for 5 minutes to bloom.